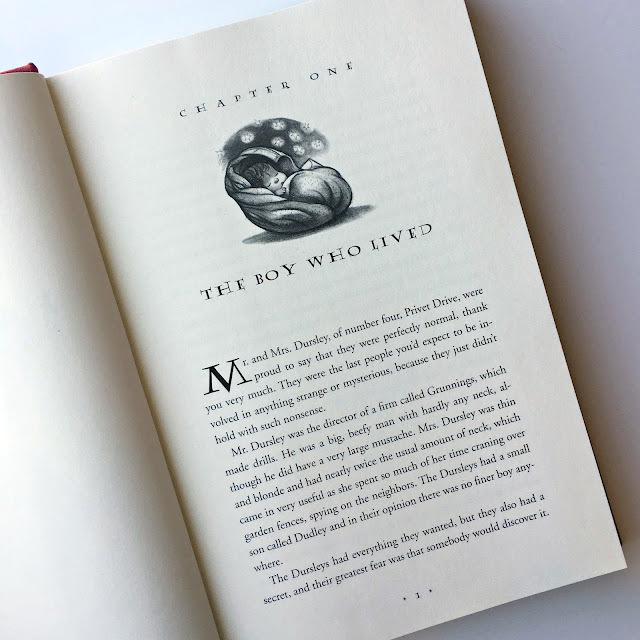 In anticipation of the upcoming release of Harry Potter and the Cursed Child, I've been rereading the entire Harry Potter series. This week leading up to its release, I have decided to post some of my thoughts on each book (or at least I'll try--I'm still in the middle of book six). Please feel free to weigh in with your thoughts about each installment: your favorite passages, characters, scenes, questions you have, or where that volume ranks in your list of favorites within the series as a whole. (1) When Dumbledore awards Neville Longbottom ten points at the end-of-year banquet and Gryffindor wins the House Cup: "It takes a great deal of bravery to stand up to our enemies, but just as much to stand up to our friends." This passage makes me cry ever single time I read it, no exaggeration. Neville is so important to the story, not just because of what we learn he represents later in Voldemort choosing between Harry and Neville, but because Neville is like so many young kids who are frequently bullied, sometimes even by those closest to them. Over the course of the series, Neville shows great loyalty to his friends and his family, even though they rarely appreciate him. This moment where Neville gets some spotlight warms my heart. (2) When Dumbledore explains to Harry that the sorcerer's stone has been destroyed and Nicholas Flamel and his wife have enough elixir left to put their things in order before they pass away: "To the well-organized mind, death is but the next great adventure." This line strikes a chord with me because it speaks to my religious beliefs in an afterlife, that there is something beyond and above this world, and that it is nothing to fear. (3) Dumbledore's caution to Harry after the hours he's spent gazing into the Mirror of Erised: "It does not do to dwell on dreams and forget to live." This advice has so many layers to it, I think as a reader you can come back to it again and again and have its meaning evolve over time. (4) When Dumbledore speaks of the ultimate sacrifice Lily Potter made to try to save Harry and how we can cope with losing our loved ones: "Love as powerful as your mother's for you leaves its own mark. To have been loved so deeply, even though the person who loved us is gone, will give us some protection forever." And cue the tears. I was introduced to the Harry Potter series by a dear friend. At that point, I believe the first three books had been published and I binge-read them in one week when I should have been studying for exams (whoops!). 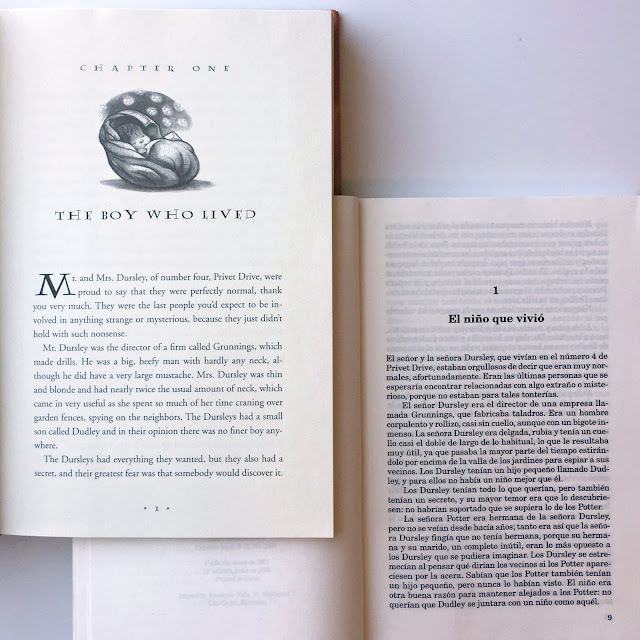 What struck me about the Harry Potter and the Sorcerer's Stone when I first read it was the complete and immediate escape it provided within its first few pages. How can your heart not warm for this misfit, misused child who sleeps under the stairs and suffers emotional abuse and neglect from his own extended family? Of course, J. K. Rowling is brilliant and made sure her series checked all of the boxes in the classical list of how to write a fantastic children's story: middle-grade protagonist, hero that appeals to male and female audiences, orphaned, English setting, fantastic journey that requires hero to leave their home and travel to the unknown, important friendships, wise guides, dangerous battles with the enemy, tests of bravery, and on and on. If there's one thing I don't like about the series (*gasp* blasphemy, here it comes), it's that I ever watched the movies. Don't misunderstand me, I enjoyed waiting in line with friends and seeing these beloved characters portrayed out on the big screen, but I desperately miss the original mental depictions I had of the characters and setting before I saw the movies. Once I saw them, it's been near impossible to regain the original fruits of my imagination which I liked much more: Harry looked different, Hermoine's teeth were larger, Ron more gangly and awkward, the Weasley family stockier and more freckled, Hagrid larger, McGonagall darker, Mrs. Dursley lighter, Hogwarts cozier, etc. As you think back on the first book, what are your favorite quotes? 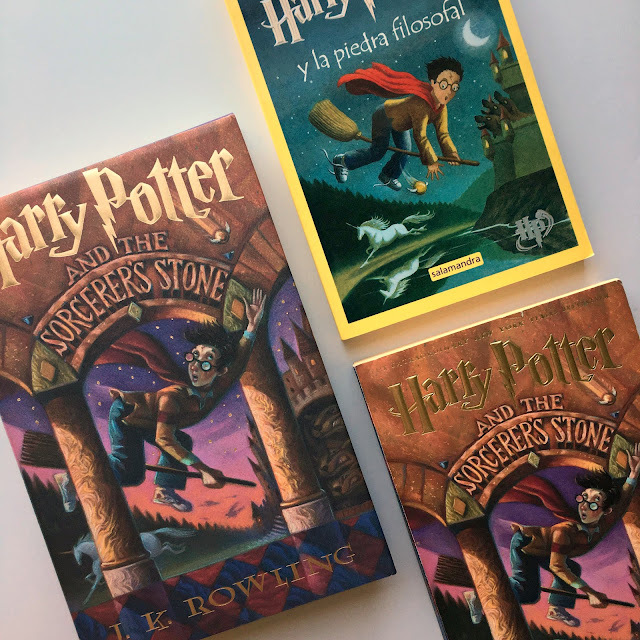 When did you first read Harry Potter and the Sorcerer's Stone and what was your first impression? How do you feel about the conflation between book and film? Have you pre-ordered your copy of Harry Potter and the Cursed Child? It's not too late if you haven't!